(Dusty Springfield/Co-Writer). It’s Kirsten’s dream come true to bring Dusty Springfield to the New York stage! She received an arts grant in 2006 from University of Southern California to develop the project. An earlier version of the musical entitled Stay Forever premiered at The Renberg Theatre in Los Angeles in 2008. Theatre credits: Three Sisters (LATC); The Foursome (Tim Robbins’Actor's Gang Theatre); Of Mice and Men (Cape Fear Regional); Twelfth Night (Olivia); Lysistrata (Lysistrata); Best Little Whorehouse in Texas. Recent TV/Print: HBO’s “Hung” as Kate.Film: Curfew (Tribeca Film Festival), Isle of Lesbos (lead in award-winning musical-Berlin and other festivals), Forever Love (with Reba McEntire), Firecracker (with Karen Black), After Image (with John Mellencamp). Twice a finalist in the Sundance Writers Lab. Thanks to coaches Alice Spivak, Bill Riley and Linda Carroll. Many thanks to all of those who have supported my journey, too many to name. Love to you all! (Claire). New World Stages Debut! Broadway: Spider Man Turn Off The Dark (Arachne), Baby It's You! (Shirley), American Idiot (Extraordinary Girl). Readings/Workshops/Labs: Super Fly: The Musical, Holler If Ya Hear Me: Tupac Shakur, Her Lightness, Prometheus Bound. TV: “The 52nd Annual Grammy Awards” (CBS), “One Life to Live” (ABC). Training: NYU Tisch School of the Arts. 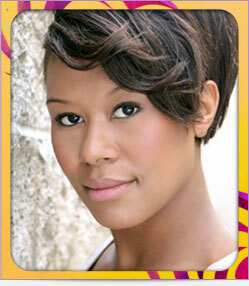 Many thanks to Joy Dewing Casting and The Luedtke Agency. Dedicated to my Brother and Angel, Joshua Sajous. (Becky/Gini, Dusty Cover). Thrilled to join Forever Dusty! Coleen played Lucy in the original Broadway production of Jekyll and Hyde. She is also in the filmed version opposite David Hasselhoff. National Tours: Elphaba in Wicked, Brooke in Legally Blonde and Go to Hell Kitty in Chicago. Regional: Miss Sandra in All Shook Up, Lady of the Lake in Spamalot, Florence in Chess, Mary Magdelene in Jesus Christ Superstar and Velma Kelly in Chicago. TV: “Law and Order”, “Third Watch”, “As the World Turns”, and “Guiding Light”. NY YANKEES fan, and proud of it! (Female Swing). A native of Colorado, Ashley got her BA from the University of Northern Colorado. Off-Broadway and Regional credits include: Peep Diva in Jerry Mitchell's Peep Show, Betty Lou in National Pastime, Titania in Midsummer Night's Dream, and Dawn in Making Moves. She sends a special thanks to mom, dad and Matt. (Male Swing). Broadway: Falsettos (Tony nom., Theatre World Award), Diary of Anne Frank. Off-Broadway: Rags, The Loman Family Picnic. National Tour: The Graduate. Regional: Romeo & Juliet, The Comedy of Errors (The Acting Company), Twelve Angry Men (George Street Playhouse), The Liar (Denver Center). Film: Screaming in Asian, What Just Happened. Television: “Elementary”, “The Good Wife”, “Law & Order: SVU, CI”, “Six Degrees”, “Babylon 5”, “STWB”. (Director) Credits include Director/Co-Author (Tony nom.) IT AIN'T NOTHIN' BUT THE BLUES (Lincoln Center/Ambassador Theater/New Victory); Director/Co-Author (Outer Critics Circle nom. 'Best Director') HANK WILLIAMS LOST HIGHWAY (Little Shubert ); Director/Author LOVE, JANIS (two years at the former Village Gate); Director/Co-Author (Five Jeff noms. in Chicago) FIRE ON THE MOUNTAIN; Director/Co-Author (Five Jeff noms. in Chicago) "LOWDOWN DIRTY BLUES" (with Felicia Fields). Guest Director: Kennedy Center, Arena Stage, Actors Theatre of Louisville, Grand Ole Opry's Ryman Auditorium, Denver Center, Seattle Rep, Northlight, Mark Taper Forum, Dallas Theatre Center, Alley, Old Globe, Geffen, Cincinnati Playhouse, Arizona Theater Company, Alabama Shakespeare, Cleveland Playhouse, Arkansas Rep, Crossroads, Old Globe Theater, Barter Theater, Laguna Playhouse, Meadowbrook and many others. (Musical Direction & Arrangements) (http://www.michaelthomasmurray.com) has backed up acts including the Chantels, the Vandellas, Patty Labelle, and his mentor, Soul legend, Jimmy Guilford, who inspired Mike’s Rhythm and Blues musical, Great Googley Moo. Mike’s other composition collaborations include work with Gretchen Cryer and Ben George on Brain Cells, Chris Patterson on Dance, Bojangles and Ira Shapiro on 1812 the Musical. Music Director for Revision Theatre’s East Coast Premiere of Kingdom, also at Revision, Tommy, The Bikinis and Rocky Horror. 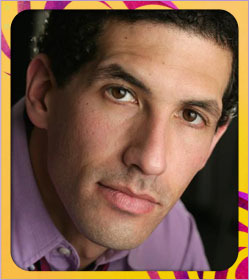 Favorite roles: Seymour in Little Shop of Horrors, Cole Porter in Cole and Noel, and Lenny Mendel in Murder Mystery Blues. (Co-Writer) wrote the rom-com/fantasy screenplay Dragon's Fin Soup for legendary Japanese director Takashi Miike and also rewrote Tetsuo: The Bullet Man for another Japanese auteur, Shinya Tsukamoto. For television, he co-wrote the "Lazarus Rising" episode of The Crow: Stairway to Heaven. He has written three nonfiction books and the graphic novels Tokyo Days, Bangkok Nights (DC Comics) and Tasty Bullet, as well as the comic books The Witching (DC Comics), The Search For Swamp Thing (DC Comics) and Godzilla Legends. As a journalist, his work has appeared in dozens of publications including The New York Times Magazine, Wired and Salon. Meet him virtually at http://www.jonathanvankin.net. (Assistant Director) comes to Forever Dusty directly from a year and a half as the production stage manager of Off-Broadway’s My Sinatra. 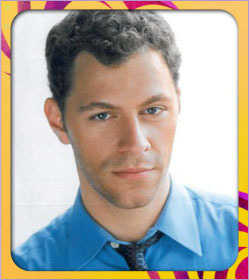 He has appeared as a performer in various regional theaters and in New York. 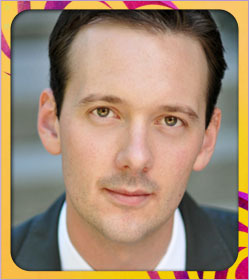 He is a graduate of The National Theatre Conservatory and The University of Evansville. (Scenic Designer) New York credits includes Next Fall on Broadway, and plays at Second Stage, Atlantic Theatre, Naked Angels, Ars Nova and Rattlestick Theatre. Opera designs include Lucia di Lammermoor(Lyric Opera of Chicago), and Eine Florentinische Tragodie and Gianni Schicchi (Canadian Opera Company, Dora Award winner). (Costume Designer) Nancy has been an Associate Costume Designer on Broadway for:Chinglish, How the Grinch Stole Christmas, Guys and Dolls, Lestat, Bombay Dreams, Life x3, The New 42nd Street, The King and I, and more. She has designed for Rockland Opera, Queens College, and the Metro Stage Company. (Sound Designer) Broadway: Kathy Griffin Wants a Tony, Liza's at the Palace...!. Favorite productions include: Buddy at The Walnut Street, Fat Camp, Absinthe in Las Vegas, The Voca People -US,Misbehavin' at Cincinnati Playhouse. Matt also has the pleasure of designing sound for Liza Minnelli around the world. (Lighting and Video Designer). Broadway: The Performers. Off-Broadway: Now. Here. This. (Vineyard Theater), Rated P for Parenthood (Westside Theater), Silence! (NY & LA), This Wide Night (Naked Angels), Creation Nation (Ars Nova, HBO Comedy Arts Festival), Billy Eichner: Gay, White & Terrified (Joe's Pub), The Gingerbread House (stageFARM), and Kidz Bop Live! (Wig Designer). London-born, Paul has worked on hundreds of Broadway shows, including the original productions of Amadeus, Cats, Evita, Les Misérables, The Producers, and Hairspray. A recipient of the Drama Desk and Tony awards, his current projects include War Horse, Chaplin, The Hieress, Scandalous, and Nice Work if You Can Get it. (Musical Staging and Movement). Broadway/Tour Credits: All Shook Up, The Producer's, Dance of the Vampires, Dracula, Side Show, Annie Get Your Gun, Fosse, Chicago, Applause, Romeo and Juliet. Jenny is thrilled to be working behind the scenes bringing life to Forever Dusty through movement and staging. Love to my devoted husband and patient children. (Production Stage Manager) is delighted to take part in bringing Dusty Springfield to life. New York: White Plains PAC, TADA! Youth Theatre, Two Beans Productions. Touring: Maximum Entertainment's The Magic School Bus Live!, and Strega Nona: the Musical, the Nebraska Theatre Caravan's A Christmas Carol: East Coast Tour. Regional: Allenberry Playhouse (PA), Troupe America (ND), The Arden (PA), Mt Gretna Playhouse (PA), Cortland Repertory Theatre (NY), and the West Virginia Public Theatre (WV). Thanks to great people at Maximum for this opportunity. (Assistant Stage Manager). New York: Myths & Hymns, Evergreen, Golden Boy of the Blue Ridge (Prospect Theater Company), Rescue Me, The Sugar House at the Edge of the Wilderness (Ma-Yi Theater Company), La Barberia (New World Stages), Love Song (59E59), The Maids (Red Bull), ENCORE, Timebomb (Daniel Gwirtzman Dance Company). Regional: Penguin Rep Theatre, Theater at Monmouth. MFA: Mary Baldwin College. Thanks and love to mom and Kevin. (Press) O&M Co. was established in 2006, and has quickly become the most eclectic of the “Broadway houses” of public relations, representing everything from main stream shows to Off Broadway and downtown happenings, to world-class non-profit institutions and legendary New York night spots. Headed by president Rick Miramontez, O&M Co. is renowned for meshing “big-picture ideas” with tireless dedication to details. (Advertising & Marketing) aka is the first 360° full-service marketing and advertising agency servicing Broadway and live entertainment in New York. With offices in the U.S., UK and Australia, aka has over 180 of the industry’s best minds delivering creative, strategic, innovative and insightful marketing and advertising solutions to the entertainment industry worldwide. aka NYC was established as a consultancy in 2008 in response to our clients’ requests for integrated campaign strategy and fulfillment on Broadway productions being handled by multiple agencies. Current and recent US clients include Matilda The Musical, Spider-Man Turn Off the Dark, Rock of Ages, Memphis, Billy Elliot The Musical, Glengarry Glen Ross, The Anarchist, Jerusalem, SPY The Exhibit, Harry Potter The Exhibit and The History Channel. (Executive Producer/General Manager) Selected Broadway credits include: Annie, Peter and the Starcatcher (5 Tony Awards), Frankie Valli and the Four Seasons, Lewis Black: Running on Empty, Kathy Griffin Wants A Tony, Colin Quinn Long Story Short, The Merchant of Venice, The Addams Family, Wishful Drinking and How the Grinch Stole Christmas. Eva was recently named one of Crain's NY 40 Under Forty Rising Business Stars. (Producer) is knee deep into season thirteen of CSI: Crime Scene Investigation. She's also touring the film festival circuit with the feature length documentary she co-produced, How I Became an Elephant. Dusty Springfield was a visionary in so many incredible ways. Thanks, Dusty, for giving us 'so much love'! (Producer) is an arts administrator and fundraiser who has worked at the New York Shakespeare Festival, Arts International, the New York City Opera and the Brooklyn Academy of Music. Dusty is the soundtrack of her youth. is dedicated to telling stories in all media that express the progressive and humanitarian values of unity, peace and understanding in the hope that art can provide a unifying force across all cultures and borders. We believe that story is the purest, most powerful form of human communication and that all of us tell stories, to others and to ourselves. Our mission is to tell as many of those stories as we can, to as many people as we can reach. We are proud to launch that mission with FOREVER DUSTY.